It seems like in the past year a lot of my friends have had boys! Here are two fun and simple quilts I made up for two of them. The first was for my friend who likes a clean crisp look. 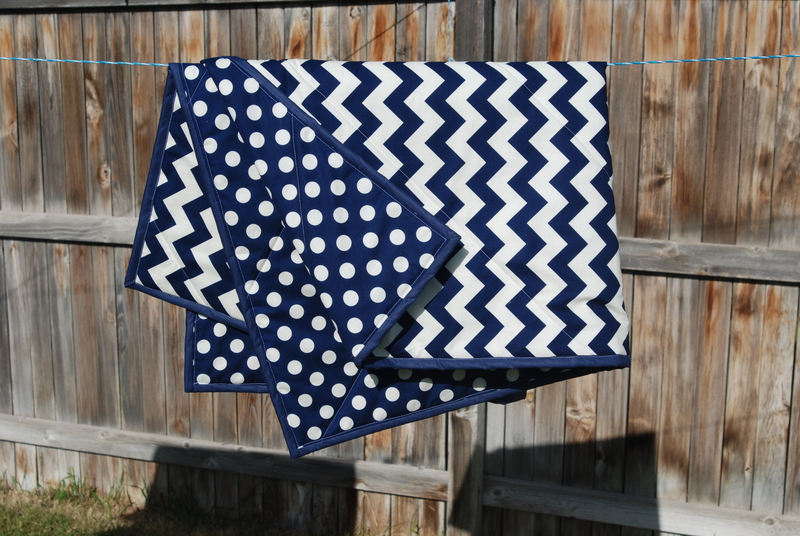 I used two different navy patterns from Riley Blake, the chevron and the polka dots. They are such fun prints and perfect for a little boy! 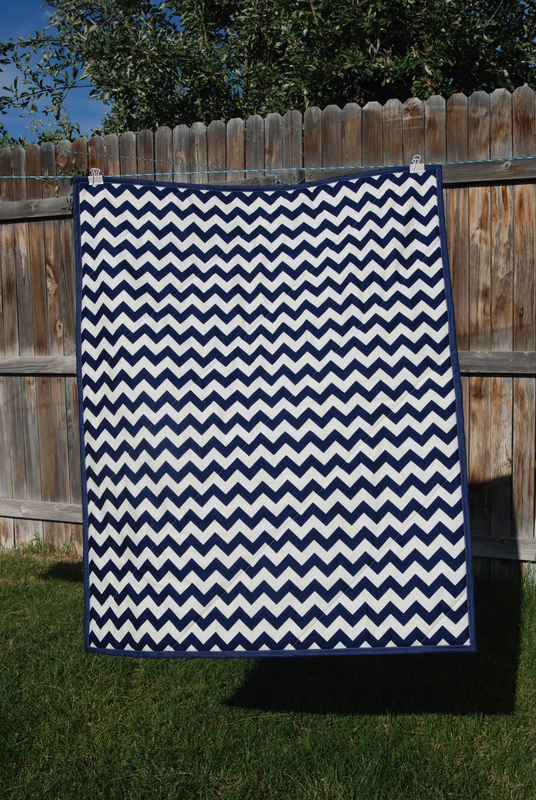 I used a yard of each and quilted the top diagonally lined up with every 5th chevron. 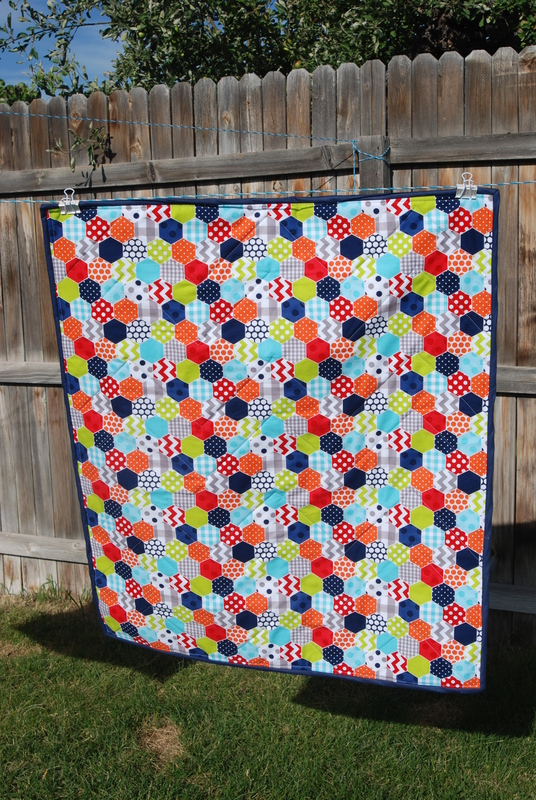 I like making quilts strong, but not always interfering with the fun patterns. Baby Sean now has lots of fun playing on it! The second baby quilt for a friend had a little more going on. 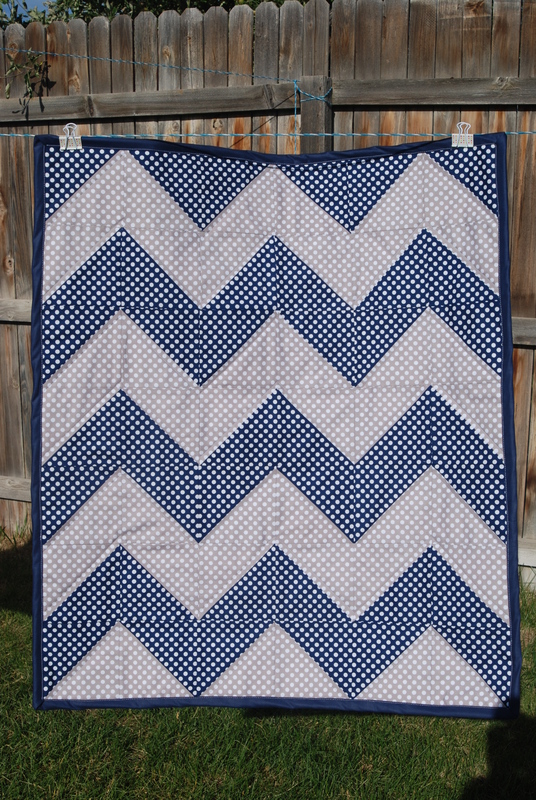 Another Riley Blake fabric combination, this time I used smaller dots in navy & tan to make chevrons. I put together lots of 6″ blocks into HST (half square triangles) so it came together pretty quick. The back is one of my most favorite (and most fun) prints of all time. I mean, hexies in so many colors? What is not to love? I quilted along the chevrons to make them stand out on the front and it looked fun on the back. Baby Isaac’s mom loved it.